In celebration of the Kannawidan Ylocos Festival 2011, The Provincial Government of Ilocos Sur and The Ilocandia Photographic Society (TIPS) held a photography exhibit entitled Punganay ti Kannawidan or Origins of Traditions. This was an exhibit that featured Ilocos Sur’s treasured heritage, landscape and culture. A total of 40 canvass photos were showcased during the exhibit held at the Archbishop’s Palace in the Heritage City of Vigan on February 1-6, 2011. 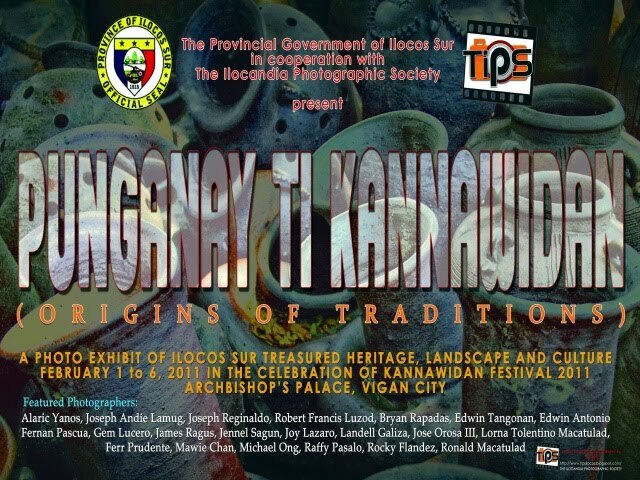 All of the official members participated in this exhibit featuring their collections of photographic artworks depicting Ilocos Sur. Two of my photos were included in this exhibit namely the Abel and the Paraiso ni Juan. The exhibit also included the special participation of the member applicants of TIPS. 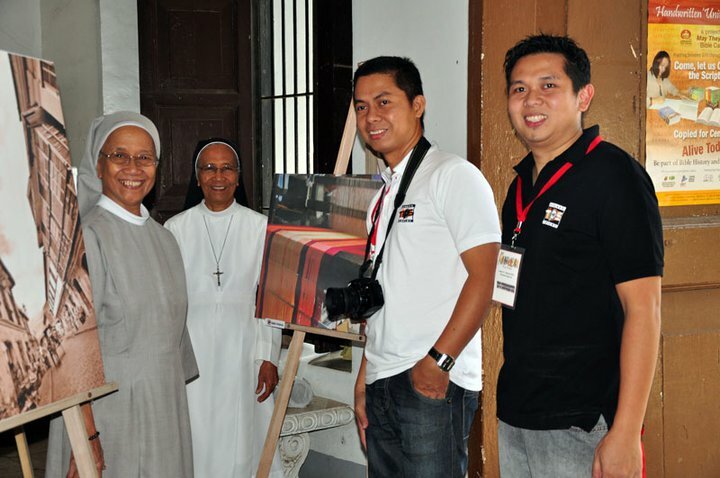 The launching was attended by artists, members of the church and the community and the media. Vice-Governor DV Savellano untied the ceremonial ribbon to formally open the exhibit. This photo exhibit was held back to back with the Colonial Ylocos Sur photo exhibit that featured the old photos from 1890s to 1950s.